What do you do with the kids on a family-friendly vacation getaway? As a parent or a grandparent, you got to keep the kids engaged at all times. If you don’t, you might face the wrath of the absolute worst vacation mood of them all- boredom. What can you possibly do with the kids to keep them entertained? How do you keep up with their energy without falling flat on your face by noon? There are plenty of local things to do on Siesta Key. You could visit the many local attractions on the island, particularly the expansive local beaches. You could also head into the city of Sarasota for the afternoon. Attractions include the John and Ringling Museum grounds and the Mote Marine Aquarium. The big city adventure may be fun, but can you keep it going? The problem with these attractions is they take time and energy. You have to leave the Siesta Key monthly rentals, pack up the whole family, pay money for the attractions, and get back in time for dinner. It can be a lot. You need something that you can keep going for longer or something that fills in a nice and pleasant (and affordable) afternoon of time. Local parks are amazing, and Siesta Key has a whole assortment of them in various sizes. The park is an exceptional way to spend the early morning, afternoon, or evening for a few hours at a time. Visiting the park just makes sense. You avoid the crowds at big attractions and you have a cost-friendly afternoon engaging with the kids as a family. Parks work wonderfully because you can do so much. When the kids get bored, you move on to something else entirely. You could utilize the tennis and wall ball courts for some high-octane action. 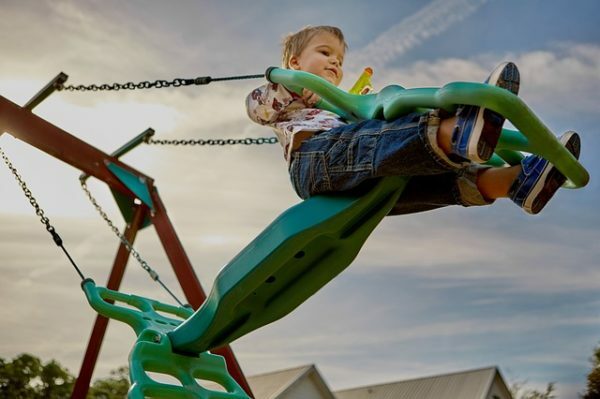 When that fades, you can head to the playground and let the kids run around. This might give you a chance to catch your breath by relaxing near the picnic area and the shade. Of course, you can always hit some of the local walking paths or just go to the field and play tag. Many Siesta Key parks are also located right on or by the beach. This opens the door for some sand-filled adventures and a change of atmosphere. Siesta Key has everything, from the open greens to the sandy dunes. Siesta Key has quite a few lovely parks on the island and in nearby Sarasota. One of the most popular is Centennial Park, right up against the water. It is on the Sarasota side of the area and features incredible waterside walking trails and playgrounds. Bayfront Park is equally beautiful. It is only a few miles south of Centennial Park and is actually closest to Siesta Key. It is well-known for its bold water views and bicycling paths. Finally, you can visit the quaint and splendid Payne Park. Payne Park is sports-oriented, with a big skate park, a tennis court, and more athletic amenities. Take a moment to find a Siesta Key monthly rental for your family. Plan a getaway that can accommodate extended work, extended family, and plenty of excitement for the (grand)kids.